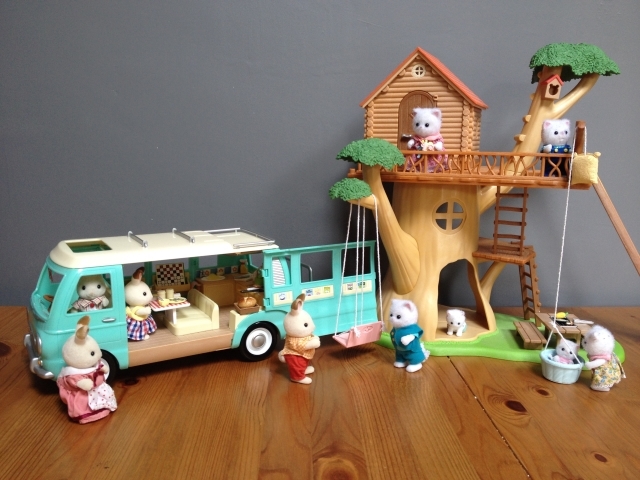 This month, our duties as Friends of Sylvanian Families has gotten us all excited for the Summer holidays. We received something in the post that has been on Lile and Sábha's wish list (and mine, to be honest) for ages - the Sylvanian Family Camper Van. Until now, we'd been using both a Hello Kitty Camper Van and a Shopkins Ice Cream truck to get our Sylvanian Family figurines on the road - but they didn't really fit into either of those very well so they are more than chuffed to have their own set of wheels now. 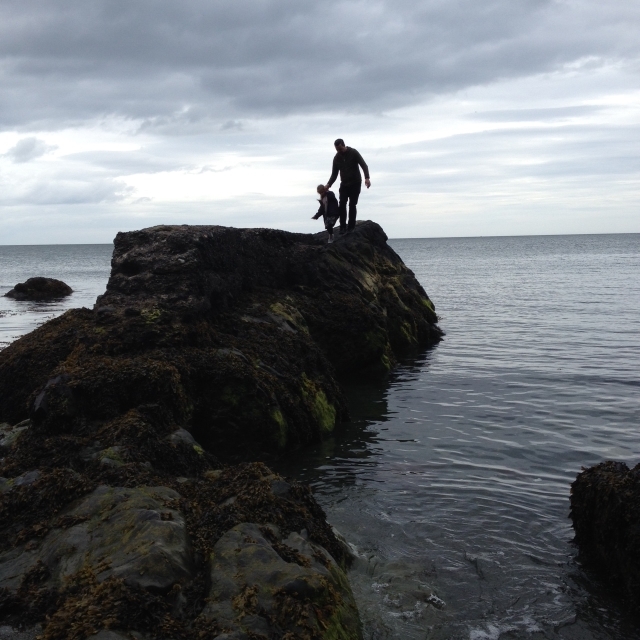 And in perfect time too - we have a whole Summer of road trip adventures ahead of us, to look forward to! The camper is a classic, timeless design and comes in a gorgeous green-blue colour. It also comes with over 30 extra pieces. There are stickers to decorate the van, furniture and bedding (sleeping bags of course! ), kitchen-ware for those all important picnic lunches and even reading material and board games for those rainy days. Not forgetting a map so that no one gets lost! Lile and Sábha are absolutely thrilled with this addition to our collection. 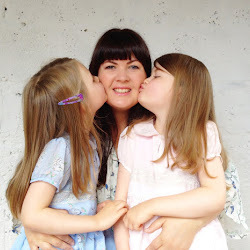 They especially love the little stove, the kitchen drawers that can store all of the little bits and bobs, the pull-out sofa bed and the draughts game. They've just learned how to play draughts themselves so I think that's why they are extra excited about that bit. They wanted to make a video all about it - so we attempted making our first 'unboxing/toy review' style video. I hope you enjoy it! 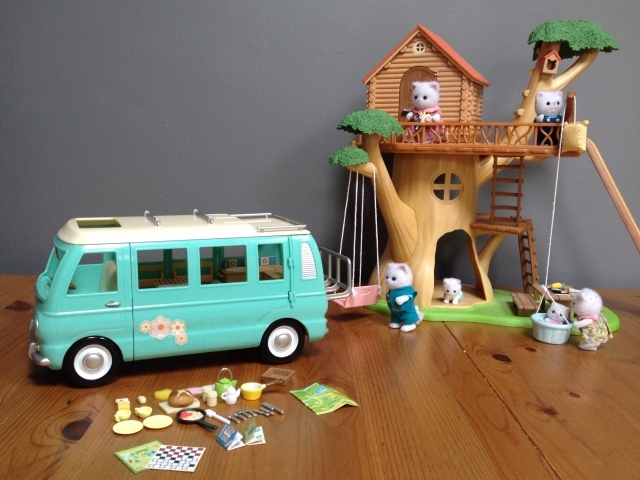 You can visit the Sylvanian Families website to find out more about this beautiful Camper Van! This toy has given me a longing for a life-sized camper van in exactly the same style and has me dreaming of potential road trips. Where would you head (with your Sylvanian friends) if you could set off on a road-trip adventure this Summer?! Please share your ideas in the comments! 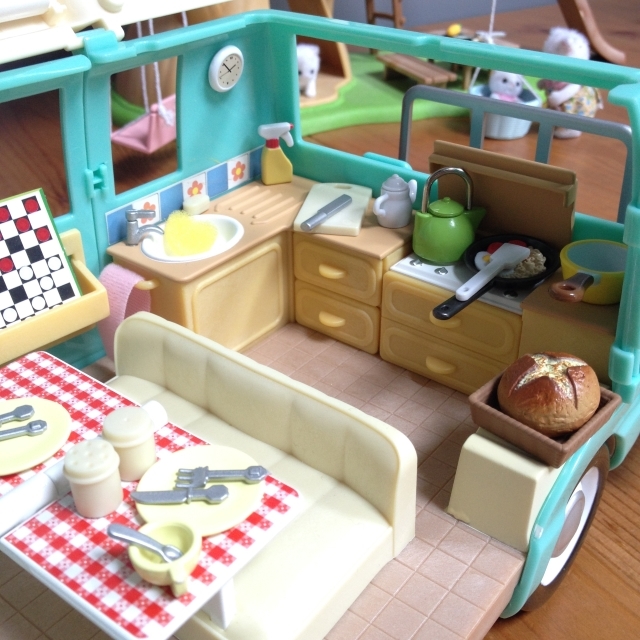 Disclosure: As a 'Friend of Sylvanian Families', I received the Sylvanian Families Camper Van for the purposes of review. All opinions are mine / Lile and Sábha's, however, and we were not paid to give them. Does it fit 1/12th scale figures? Hi Jeff, I'm not 100% sure but I believe most of the Sylvanian Family stuff is 1:12, though some is 1:16 and the older stuff seems to be completely non-standard! Hope that helps! thanks for commenting.